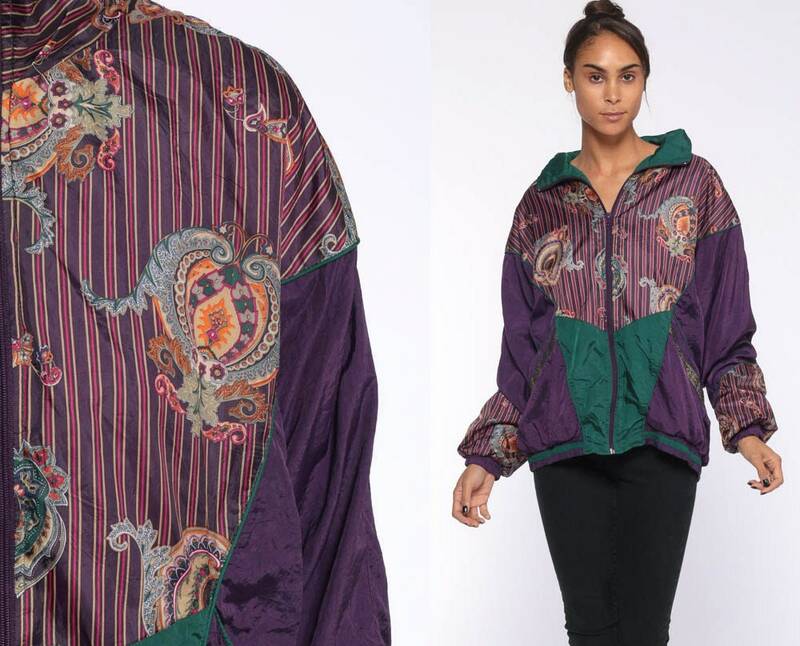 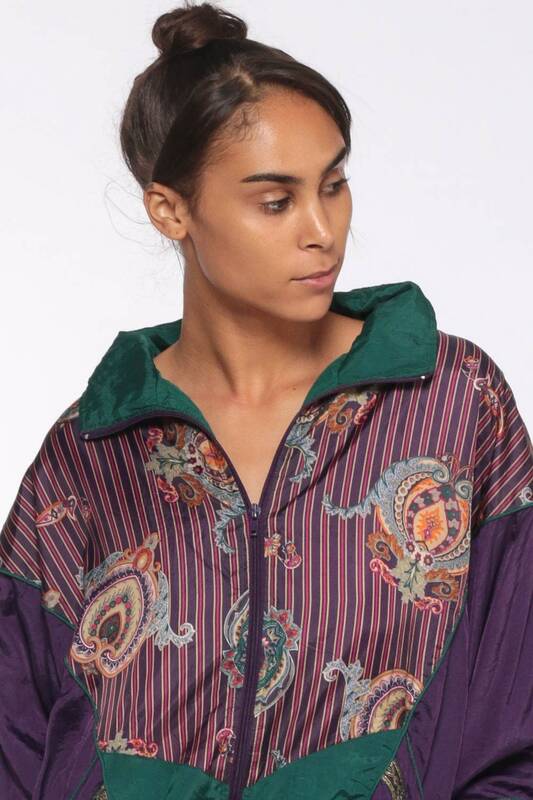 Vintage 90s windbreaker jacket in shiny purple nylon with a color block and paisley print. 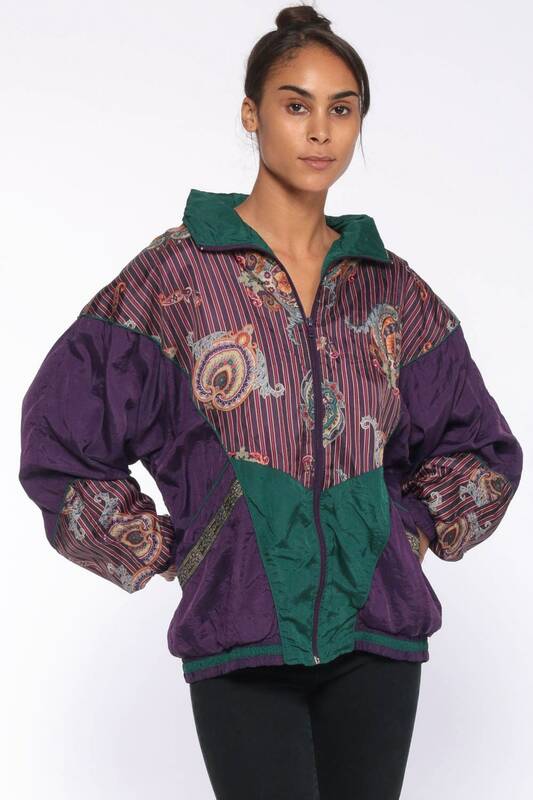 Zips up the front. 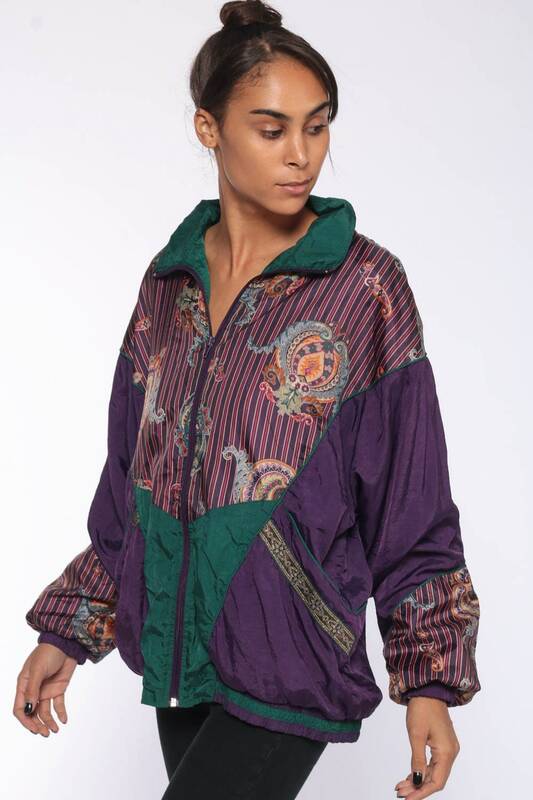 Condition: Lightly distressed. 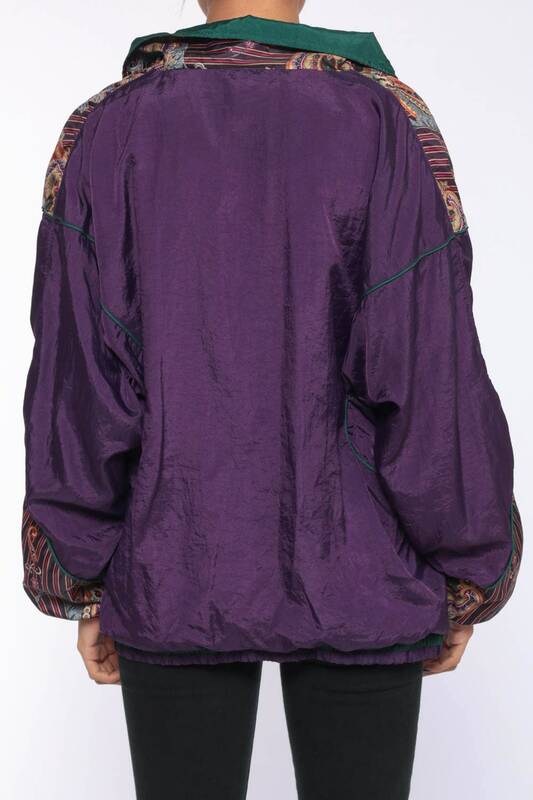 Jacket is in overall good condition with the exception of one area of worn and small holes on the back of the left sleeve by the cuff. 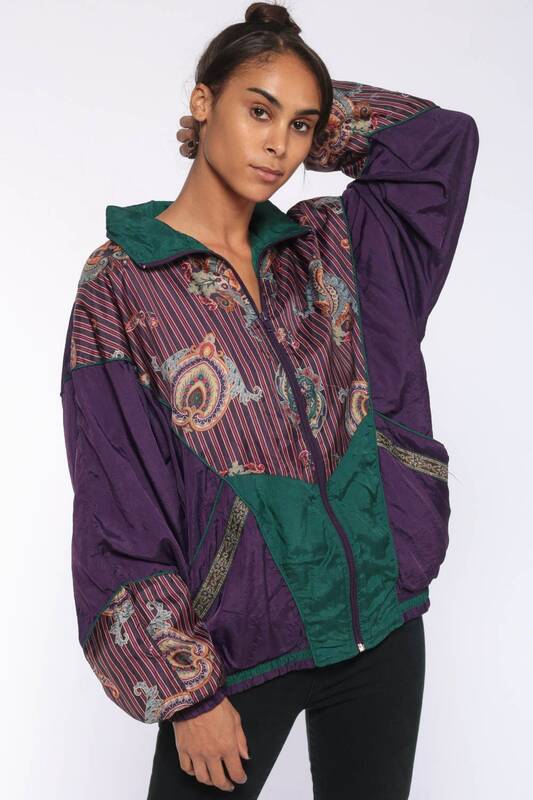 Material: Shell is Nylon with a Cotton / polyester blend lining.